First photo this year I’ve LOL’d at. I had just read a story about Venezuela on BBC news that features Hugo speaking in front of that very same picture on the wall (news.bbc.co.uk/2/hi/business/8449721.stm). 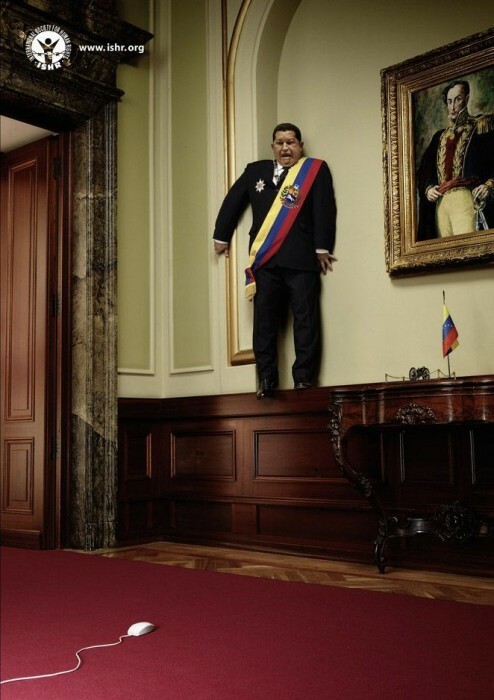 The picture in the wall is SimÃ³n BolÃ­var, the national hero of Venezuela. He liberated from the Spanish Venezuela, Colombia, Peru and after his name, Bolivia. For some reason, this retard reminds me of Mussolini.